When your loved one is living in a care facility and no longer able to express herself, who will speak on her behalf? We hear the good, the bad and the ugly of residential care. 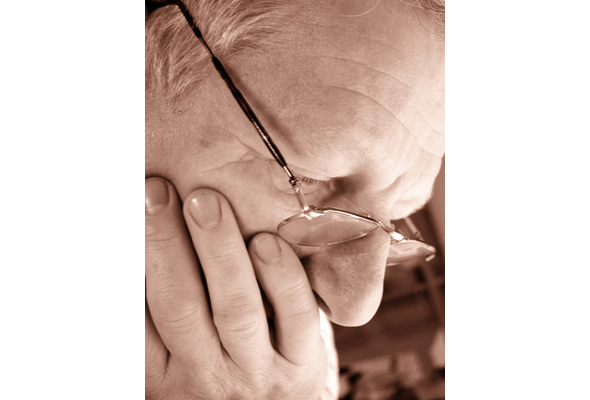 Horror stories make headlines, when fragile seniors are abused or neglected. We react with shock and disbelief. Where were their loved ones, their advocates? Residents’ committees should be a standard in autonomous residences, giving residents who are able to speak for themselves a voice. Often a senior who is unhappy with a service will not complain. She may think she’s the only one with a complaint with housekeeping, activities or meals. A resident committee empowers seniors to speak as a group and share concerns. Seniors pay (often dearly) for private residences and should have a say in what works and what doesn’t. When a person is no longer able to speak for himself because of dementia, it is important for someone to speak on his behalf. Too often children are too worried to lodge a complaint for fear their fragile loved one may be looked upon as “the one with the difficult child.” Care facilities should have family committees to share concerns and avoid stress. It is always wise to befriend loved ones of other residents to share information and see whether your concern is unique. Loved ones sometimes live far away and while they have made arrangements for their parent’s care, they are not present to observe daily happenings. If a family committee existed, they could be kept abreast of issues. Do your homework before you move your parent into a residence. Ask about staff/patient ratio, staff qualifications, how often rounds are done, meals/feeding, personal hygiene and emergency procedures. Ask what steps would be taken if your parent does not appear to be well or is acting differently. Are tests done on site, is family called, and if 911 is summoned, is the person sent in the ambulance alone? Many of these questions are only addressed after the situation arises. Try to get answers in writing. Does the residence have an information package citing protocols and standards? Ask to speak with at least three families of residents. Mingle during visits, talk to staff and families, keep your eyes open for residents who need assistance and are not being tended to. See how long it takes for staff to respond. The reality is that no matter what you are paying for private nursing care, no patient can be watched 24/7. They may be safe from wandering, but if your parent is alone in her room and in need of assistance a few minutes after staff checked on her, it might be another hour or two before there is another staff check. This does not mean the residence is not doing its job. The only way around this is to hire a private companion, a very costly proposition. However, if you feel the facility is understaffed, a family committee could bring it to their attention. Speaking to residents (in autonomous settings) and family committees and performing a thorough investigation before a move to a care facility will help avoid unpleasant surprises. Keeping in touch with other family members, even if you live out of town, will help you understand if there are concerns shared by others. Be the first to comment on "Let’s Talk About It: Family committees can advocate on behalf of vulnerable people"